Achieving compliance with ever-stricter cybersecurity regulations is an ongoing challenge, especially for regional banking organizations. 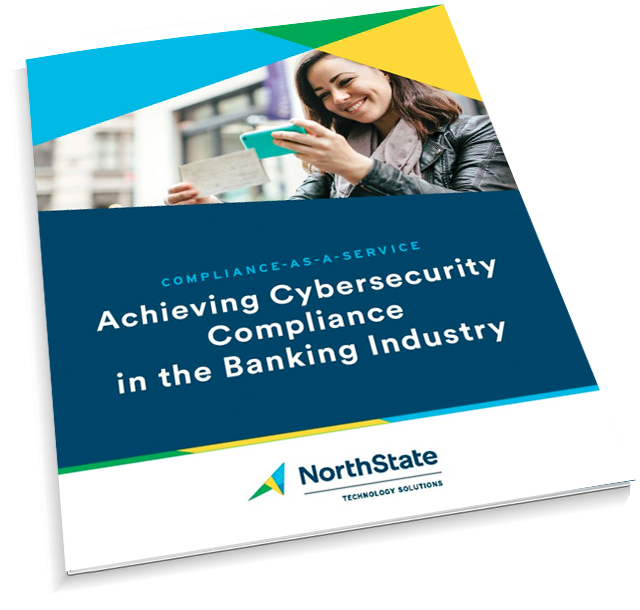 The NorthState Compliance-as-a-Service (CaaS) solution allows banks of every size to more easily align themselves with government cybersecurity standards. Threatened by a variety of attack vectors, from email attacks to breakdowns of the “human firewall,” even the smallest of regional banks must meet increasingly strict audit requirements. NorthState offers a Security Everywhere architecture aligned with the Cybersecurity Framework from the National Institute of Standards and Technology (NIST). This Identify-Protect-Detect-Respond-Recover approach is designed to cover government and industry during all phases of a cybersecurity attack. Our expert teams help you develop strong relationships and work with regulatory agencies and auditors to achieve all reporting requirements. For organizations to reach maximum uptime and reduce exposure, they need the right risk management solutions. Share your email address to download the full white paper.